Being a holistically minded gal, I'm approaching my upcoming labor like any good journalist/demi-hippie: By doing boatloads of research. I've been having conversations and Googling and making lists to get the best care at my labor. By best;I mean safest for me and my baby-to-be, but I also mean most suited to my needs and preferences. For example, I'm sensitive—to loud noises, blood sugar fluctuations, pain, bad attitudes, bright lights, gross smells, and more. And fab documentaries like The Business of Being Born, Birth Story, and Orgasmic Birth have opened my eyes to environments, policies, and interventions at healthcare facilities that could certainly trigger sensitive, holistic me. These issues may also hinder the birth process itself—all those birthing hormones have a deeply ancient pattern of release and ebbs and flows to facilitate labor, and they're not immune to interruption by an errant cranky healthcare provider who doesn't care about my yogic bouncy ball or need for a soothing shower or thinks I'm cuckoo-bananas for going the un-medicated route. That's why I've gathered some essential questions to ask my docs, doulas, and others. Perhaps they might be useful to you too. Note: I'm not a doctor or in any way certified in anything aside from yoga and journalism and asking people in white coats lots of questions. Of course none of these queries have right or wrong answers; you're gathering information to be informed and empowered to make choices that feel best for you. Even if an answer isn't what you want to hear, knowing what to expect can make the whole process considerably smoother. Labor itself is full of enough surprises—knowing the basics, like whether you're allowed to shower or eat or walk, don't need to be too. 1. Will an IV be required during labor? A hep or saline lock? (Like a port, installed as routine in case of emergency). 2. Can I eat and drink during labor? Though plenty of studies show that it's fine for mom and baby to eat and drink during labor, many facilities ban both outright due to the concern that moms may need general anesthesia during labor (which is rare, even for C-sections). But some allow water or "clears" (meaning you could have chicken broth); the World Health Organization and The American Society of Anesthesiologists both recommend clear fluids be allowed. My doula speculated that some cases of fetal distress are actually caused by low blood sugar. 3. How many people are allowed in the delivery room? Some places have limits, others will let you bring the brood; see what works for you. (And if you don’t want your MIL there, maybe she doesn't need to know the entire truth that she's allowed. Just sayin'—you get to be the priority here). 4. Will I be allowed to walk during labor? Many women find walking during labor helps both distract them and diminish pain. Some facilities have bars along the hallway walls to help you do just that, others enforce staying in your room, on the bed. If you're going to want to walk or squat or sit on a bouncy ball during labor this is good to know. 6. Am I expected to wear the fetal monitor the entire time? Though it's considered best practice to intermittently monitor the fetus, many practitioners do continuous monitoring. This has greatly increased C-section rates because baby's heart naturally goes up and down during labor; those fluctuations are not always a sign of true distress. Though sometimes they are; it takes a highly skilled practitioner to know the difference. There's also some concern that constant scanning can heat fetal tissue. 7. Do your doctor/midwife and hospital support breastfeeding? This is less important if you have a doula (a support provider for birth), but you should know how your facility supports breastfeeding. Do they have on-staff lactation consultants? Do they teach it or discourage it, and who does the advising? Will your baby be fed formula without your explicit permission? 8. What are the standard procedures for newborns immediately following the birth? Which ones can you opt out of? Phased-out procedures are still in place at certain facilities (such as treating newborn's eyes with drops for syphilis even if the mom has tested negative for it), and some are very helpful—suctioning fluid out of babies' nose and mouth, for example. But it's good to know what to expect, exactly, and ask questions about which newborn tests are necessary and will work for you and your family. 9. Are the labor rooms private or shared? Is it possible to get a private room? Does it cost extra? 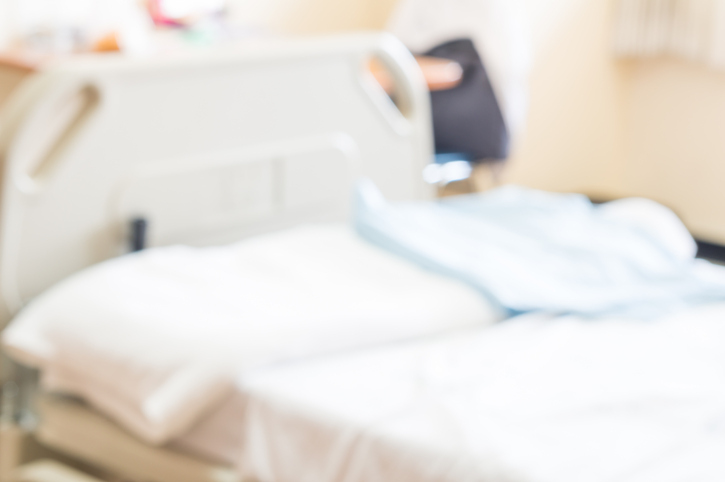 Labor is a process that many prefer to do without someone on the other side of the sheet—though even "private" rooms will likely have medical staff coming and going. Explore your options. 10. Will I be allowed to have an exercise ball in the room? One fabulous birthing tool is the inflatable bouncy ball. It can relieve back pain, soften the perineum, and allow mom to feel a nice rhythm during birth. If you want to bring yours, make sure it's kosher and that there's enough room for it. 11. Is there a place to shower and/or take a bath? Is that allowed? Pain sensors in the brain are soothed by warm water. It's a fact. That's why so many laboring mamas love to get in some kind of water. Ask about baths and showers to see if you'll have access if you want it and your care provider allows it. Some places have C-section rates well above the (already high) national average of 33%, generally a sign that they have a more interventionist approach. If you're not into that, you can ask, and/or search online for rates. (And read about why rates may be so high.) My docs have a 9% rate that makes me—with my goal of unmedicated natural birth—feel pretty secure, even though my hospital overall has a 33.7% rate. 13. What's the rate of unmedicated, natural births at this hospital? You can figure that out with math from the above for the vaginal part, but good to ask about medication if you're planning to go without. 14. What's the rate of various intervention procedures (which you may or may not want)—from epidurals to narcotics to use of Pitocin (a drug to speed up delivery) to use of forceps and vacuums? Many of these things have their place, but most natural birth advocates (and plenty of doctors) will tell you that they often get over-used and carry potential complications. Ask what the interventions are, see what you're comfy with, and make requests, knowing you may need to be flexible when the time comes. 15. Outside of my family and caregivers, who will be in the delivery room with me? Is it a teaching hospital? If so, are fellows allowed to watch? Can I opt out of that if I want to? You may want to contribute to the future of medicine by allowing docs-in-training to watch your labor; you may not. A friend of mine specifically had a clause in her birth plan to disallow this because she intended to have her twins vaginally and without meds, something almost none of the docs had seen before. Her doula warned this would be a popular show, and my friend acted accordingly. 16. Will you honor my birth plan if I write one? Though there's that joke: How do you make God laugh? Make a plan, many pregnant women find it helpful to write a birth plan, outlining requests and preferences based on answers to the above. Some facilities will accept this with ease, some prefer to be the arbiters. Ask.